With the French Open just 2 weeks away, the Internazionali BNL d’Italia provides the final opportunities for the top players to tune up their game. It is also notable for the fact that if Rafael Nadal doesn’t win this event, it will be the first time he has failed to win a clay Masters 1000 event since 2004 – a year in which he did not compete in any of them. Nadal is a seven time winner in Rome and has made the last six finals. 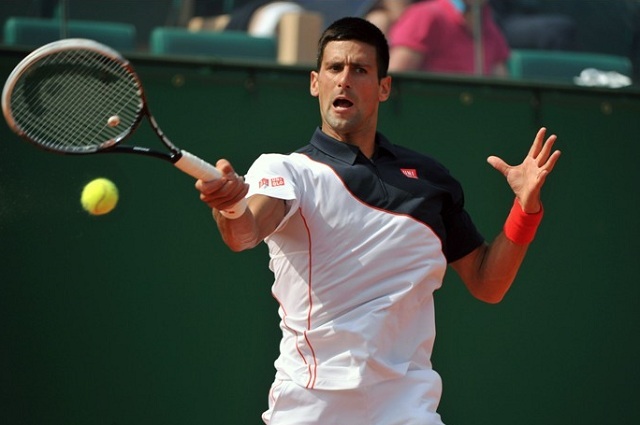 Novak Djokovic returns after missing Madrid and has to remain the favourite on his form and Nadal’s continued struggles. Last year, he picked up his third Rome title with a three set win over Nadal. He begins his title defence against Nicolas Almagro, who saw off the threat of wildcard Luca Vanni in round one. He is 3-1 against Almagro, with the sole win for the Spaniard coming in a 2004 Challenger match. In their fourth career meeting (first in ATP main draw), Roberto Bautista Agut will hope to get the better of his countryman Marcel Granollers. Bautista Agut was defeated by Kei Nishikori for the second time in three tournaments in Madrid last week, making each of his last four losses be to a top 10 player. The winner faces a qualifier – either Thomaz Bellucci or Diego Schwartzman. Bellucci qualified without dropping a set while Schwartzman needed 3 to see off Benoit Paire. Australian tennis continues to rise with two players now in the top 35 and they could meet in round two. Nick Kyrgios stunned Roger Federer in Madrid but was unable to follow up his victory in the next round, losing to John Isner. He will have to pull off another surprise win by defeating 11th seed Feliciano Lopez. The Spaniard is in far from great form, going 3-4 since Miami. Bernard Tomic, now ranked 26, plays Viktor Troicki for the first time on clay. Tomic does lead the head to head 2-1 but all three matches were on hard courts. Kei Nishikori rounds off the first quarter of the draw. He failed to defend his final points in Madrid, losing in the semi finals to eventual winner Andy Murray. Nishikori, 29-6 on the year, will play Jiri Vesely after the Czech overcame Ernests Gulbis in three sets on Sunday. A quarter final clash with Djokovic offers a lot of intrigue and will give a further idea of Nishikori’s French Open credentials. Andy Murray‘s stunning run to the Madrid title made it two clay titles in two weeks after failing to win one in his career previously. Although Nadal was far from his best in the final, three top 10 wins in the week suggest that Murray could be more than easy pickings for the best in Paris. He opens against Jeremy Chardy, who beat Lukas Rosol in straights in round one. Another Frenchman could be on the cards in round three if Jo-Wilfried Tsonga can live up to his 13th seeding position. Tsonga is 0-2 against the top 10 this year but will be confident going into round two if he sees off Sam Querrey. The Frenchman already has a win over likely opponent David Goffin at Monte Carlo this year. David Ferrer has lived up to his seeding in the past two Masters events in Madrid and Monte Carlo by making the quarter finals but was defeated at this stage both times, to Nishikori and Nadal respectively. This time round, Andy Murray is the projected quarter finalist if seedings hold. While he is 6-9 against Murray, Ferrer does lead 4-0 on the head to head, most recently winning at the 2012 French Open in 4 sets. Richard Gasquet plays Thomas Fabbiano for the opportunity to play Ferrer and reverse an ugly 3-8 head to head. Ninth seed Marin Cilic is still finding his feet on the year, hoping to turn around his current 3-4 record in 2015. Guillermo Garcia-Lopez is first up for the Croatian with either Alexandr Dolgopolov or Martin Klizan waiting in round two. Cilic is 3-0 against Klizan while going 1-1 against Dolgopolov. By virtue of being drawn in the opposite half of the draw to Djokovic, Rafael Nadal will have a much better chance of making his seventh straight final at this event. It’s a route that doesn’t look too troubling, even with Nadal not at 100% of his ability. 16th seed John Isner did take Nadal to three sets in Monte Carlo but it will be a tough ask to do that again even with Isner playing good tennis at this moment in time. Isner will still most likely have to beat Leonardo Mayer to get there, after the Argentinian defeated Federico Gaio in round one on Sunday. Stanislas Wawrinka, the other top 8 seed in this quarter, could do with a good run after failing to make it past the last sixteen in his last four tournaments. 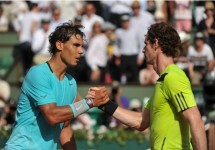 He may well do that this time round, but defeating Nadal will still remain a tough ask with their lopsided head to head. Wawrinka will open against Juan Monaco or Dusan Lajovic while Gilles Simon will play Jack Sock in his first match of the tournament. Dominic Thiem will hope to return to form when he faces Simone Bolelli in round one. The highly touted Austrian has seen a number of shock defeats in the past month, while also losing just three games to Fabio Fognini in Munich in the same time period. Likely semi final opponents for Nadal in the case that he gets there include Federer and Tomas Berdych. It was thought that Berdych might trouble Nadal in Madrid but it was never all that close, Nadal winning 76 61. All of Berdych’s defeats this year have come to top 10 players, including the Monte Carlo final which he lost in three sets. Despite a surprise win over Santiago Giraldo in round one, wildcard Matteo Donati is unlikely to be much of a threat to the Czech. A third round clash intrigues with most likely Grigor Dimitrov, although Fabio Fognini and perhaps Jerzy Janowicz will have something to say about that as they compete for a place in the third round. Berdych lost to Dimitrov at this event last year, a week after beating him in Madrid. After losing from match point up to Nick Kyrgios in Madrid, Roger Federer will be out to ensure it doesn’t happen again in Rome. He may play an opponent whom he already has a win over this year in Pablo Cuevas. The Uruguayan lost in straight sets but will relish the opportunity for another crack and should beat Paolo Lorenzi in round one and extend the head to head to 4-0 over the wildcard. A big serving Kevin Anderson seems the most logical option for an early Federer shock but in reality, it seems very unlikely that the South African could win in a possible third meeting. Anderson needed two tiebreaks to defeat Florian Mayer in three sets and will likely play another German in round two, with Philipp Kohlschreiber taking on Donald Young for a spot in the second round.